Abbotsford/Nanaimo/Richmond – JANUARY 16, 2019 UPDATE – A celebration of life for retired APD officer Shinder Kirk will be held on Saturday January 26. It will be opened to the public. The service will be 1PM at Central Heights Church, 1661 McCallum Road in Abbotsford, with a reception to follow. Not only was Sgt Kirk respected among his peers and in the community, many members of his old high school (Richmond Secondary Class of 77) live in the Valley and inquired to FVN when the service will be. Kirk was killed and two other passengers in his truck were injured in a Nanaimo area collision before Christmas. Kirk’s widow was one of those injured and both are expected to recover. The driver of the other vehicle will also recover. The investigation into the crash continues. FVN’s Don Lehn was one of those who went to high shcool with Kirk, and continues to mourn his death. ORIGINAL STORY – DECEMBER 24, 2018 – It is with a heavy heart that FVN reports that Retired Abbotsford Police Sgt. and prominent long-time spokesperson with the Combined Forces Special Enforcement Unit of British Columbia, Shinder Kirk died on Saturday in a traffic accident in Nanaimo. Two trucks were in a head on crash, Kirk was the lone fatality (at this time). Kirk was the high profile spokesperson during a time of active gang violence in the Lower Mainland during the height of the gang war involving the Bacon Brothers, Red Scorpions and the United Nations gang. He retired as a police officer however continued on with the APD as a Commissionaire. Kirk was always available to media, updating when other media spokespeople were in bed sleeping. There were other injuries in the accident although no other names have been released. Abbotsford Police posted a tribute on Facebook on Christmas Eve. Saturday, December 22, the Abbotsford Police Department family lost a brother, retired Sgt Shinder Kirk, in a tragic collision on Vancouver island. 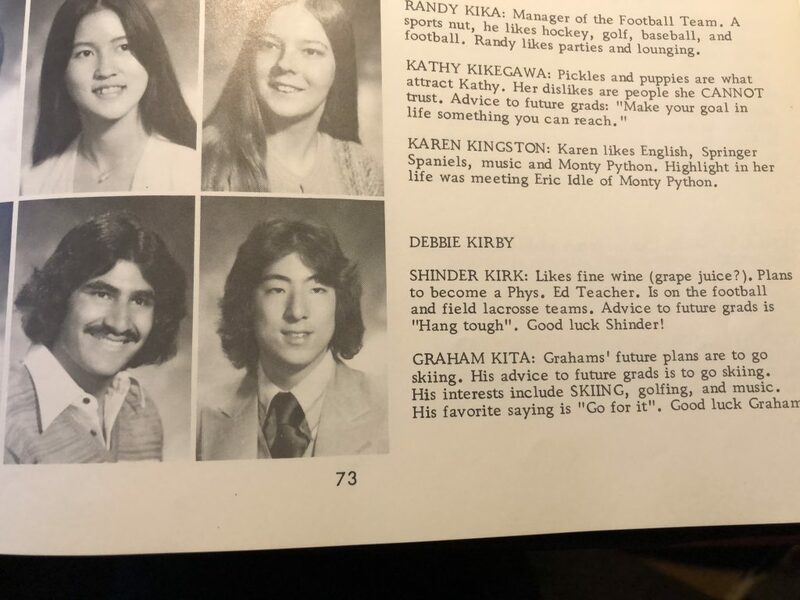 Shinder had an extensive policing career. He served with VPD for several years before transferring to Matsqui PD in 1990. 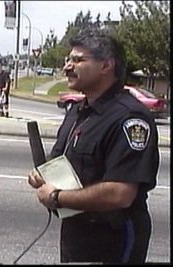 Shinder worked in patrol and traffic at AbbyPD and was most recognizable as a media spokesperson for both AbbyPD and CFSEU where he retired as a Sergeant. He will be remembered for his distinctive voice, kind and humble demeanour and the respectful way he treated all who knew him. Our thoughts are with Sgt Kirk’s family and friends during this very difficult time. A true gentlemen who will be missed. Be the first to comment on "Celebration Of Life For Retired APD Officer Shinder Kirk – Saturday January 26"